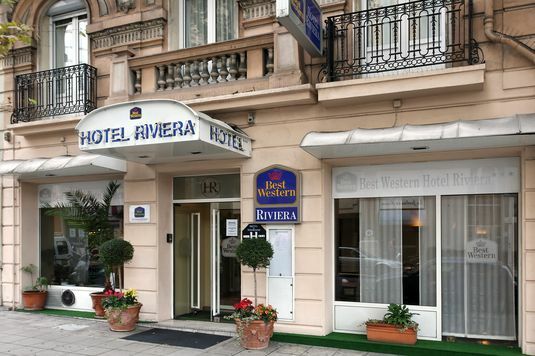 The Best Western Hotel Riviera is ideally located in the city center, in the praised Musicians Area and 250 meters from the Nice Ville central railway station, the hotel welcomes you to Nice and opens the doors of the Cote d'Azur. You will reach the beach and the celebrated Promenade des Anglais within 10 minutes through the pedestrian area and its couturier shops. Stroll through the Old Town, with its palaces, baroque churches, countless shops, its world famous flower market and its tiny serpentine alleys. Follow them to end up in the splendid 'Mus?e d'Art Moderne et d'Art Contemporain (MAMAC)'. Climb the Castle Hill to catch breathtaking views of Angle Bay. Back the Best Western Hotel Riviera, don't fail to proceed to the nearby Cathedral St. Nicolas, the largest Russian orthodox building outside Russia, to get a surreal and exotic glimpse of the late 19th and early 20th centuries Russian legacy. Marc Chagall was a long-time Riviera resident. His Biblical Message is housed in the purpose-built museum within walking distance from the hotel. If you feel attracted by the glittering atmosphere of Monaco, the train will carry you there in less than 20 minutes from the nearby station. It will take 30 minutes to reach Cannes by train. The Best Western Hotel Riviera offers 48 rooms fully renovated in 2003, with air-conditioning, satellite television, refrigerator, hairdryer and double glazing windows.